You can get in free til Midnight with a $5 cover after. There's also 2 for 1 drinks til Midnight, so get there early! 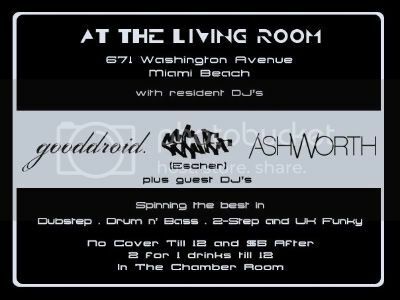 The Living Room is located at 671 Washington Ave, Miami Beach. Charged with damaging eardrums, inducing permanent bassface and loss of work hours the following days, Summer Dubstep Conference (SDC) will no doubt be found guilty of being one of the best things to happen in Miami this Summer. 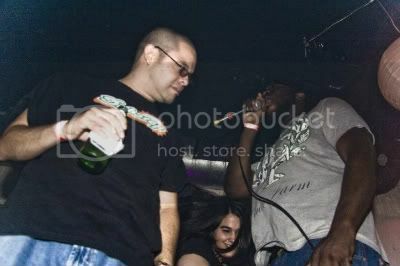 It started with Skream + Benga at the White Room. Miami New Times gave a shining review of the festivities courtesy of Jose Duran, which you can find here. Thursday at The Vagabond, the Miami Dubstep massive returned to Get Lower than ever before with Mala of the Digital Mystikz. SDC caught red handed. Guilty! Big up all the photographers and photographees involved! More destruction sure to happen when the next Get Low goes down October 22nd. We're bringing BORGORE all the way from Tel Aviv, Israel! 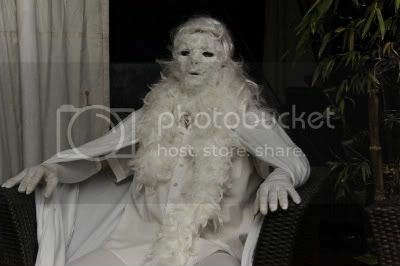 Stay posted by being a Facebook Fan and following on Twitter. Need to catch up on what's going on in the world of bass? Well, here's a few of the mixes I've been listening to from different South Florida DJs. 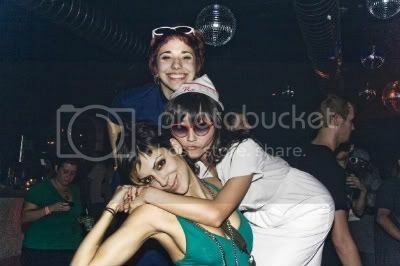 Click the pix to get to the mix. 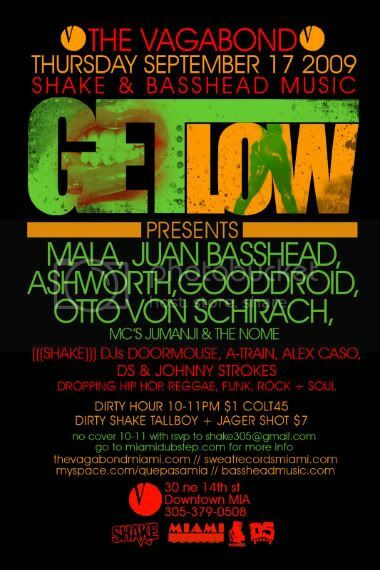 Don't miss Gooddroid mixing live on Sept. 17 when we (((SHAKE))) The Vagabond for Get Low with Mala! Gonna be big! 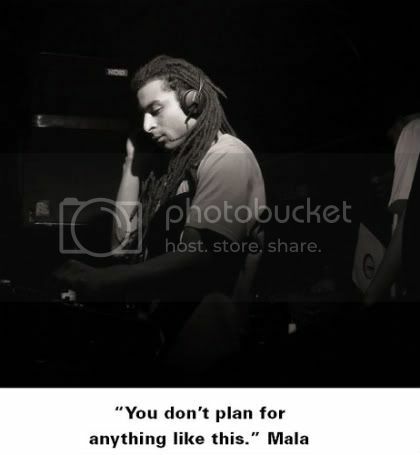 Raised in South London, he is one half of the Digital Mystikz, head of label and biggest dubstep sound in the UK - DMZ, and also head of Deep Medi Musik, Mala has been forming and pushing the boundries of the genre since day one. With classics such as 'Anti War Dub’, ‘Lean Forward’ and ‘Changes’ under his belt, as well as a huge list of dubplates and releases on Soul Jazz, Planet Mu & Tempa he is one of the finest purveyors of meditational bass weight. His reputation behind the decks has taken him beyond his influential London party DMZ, all over Europe at the biggest festivals, Japan, to the U.S. including his annual WMC party London Bass in Miami with Skream. This multi-talented DJ, Producer, Promoter & Label Owner, is a serious heavyweight in the dubstep scene. Here's a rare interview with the man himself. 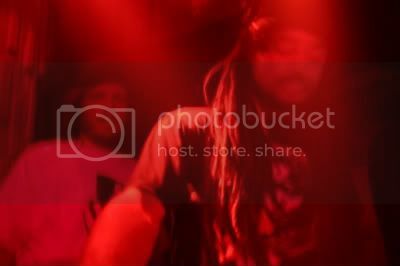 He'll be supported by Miami Dubsteppers Juan Basshead, Otto von Schirach, Gooddroid + Ashworth! Plus Jumanji + The Nome on the mic! Get your limited advance tickets here. GET LOW! I woke up today to quite a surprise. Posted on Facebook was a spectacular video by Adam Pascale of Advanced Perceptions. You can email him here: adampascale@mac.com if you want some sick visual work done. The video captures Otto von Schirach, the Bassmakers Trip1 & Secondhandsmoke, and Joe Nice and all the madness that goes down at this party. Unfortunately his battery ran out before Juan Basshead's stellar closing performance. I had no idea he was making this, which made it an extra special treat. 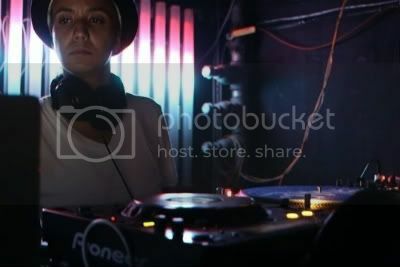 I'm always amazed by the love Get Low recieves, be it the Get Low tracks made by Miami Bass Warriors (Otto + Jose el Rey) and Juan Basshead, videos, or photographs. It shows the true support the Miami Dubstep movement has, and we'll keep returning the love with big shows and excellent bookings. Remember, September 17th brings Mala (get your advance tickets here), October 22nd is Borgore with Noah D just added, and November 19th welcomes Joker + MC Nomad for their first Miami show! 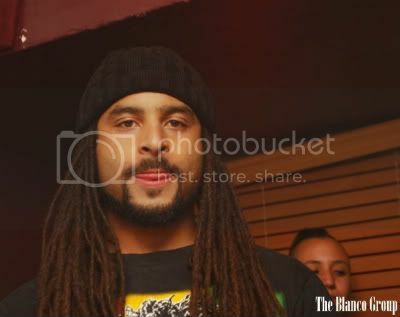 Keep spreading the gospel and make sure your friends are on the group, the Get Low fan page and Twitter. See you in the City of Bass. "Hello everyone, just wanted to quickly let you all know that BASSHEAD MUSIC (a local Miami label run by Juan BassHead & DJ A-Sides) has just put out it's latest release. 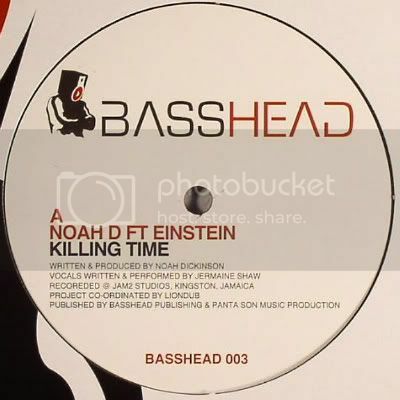 The a-side is "KILLING TIME" a dubstep banger by one of the USA's best producers NOAH D with all original vocals by Jamaican reggae / dancehall artist EINSTEIN. The b-side is a DnB remix of "KILLING TIME" by one of the most in-demand DnB producers on the planet, the mighty BREAK. 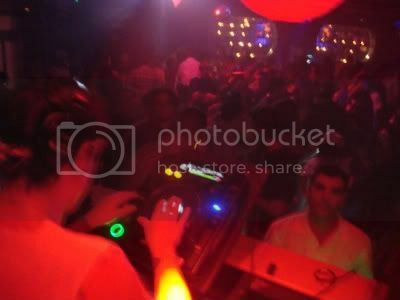 Both versions are aimed for the dancefloor and are receiving support from the biggest DJs in the game including artists such as Andy C & Skream. The vinyl release is out NOW in all good dance music record stores, and the mp3/wav/digital version will be out any day now. Thank you for your continued support!!" 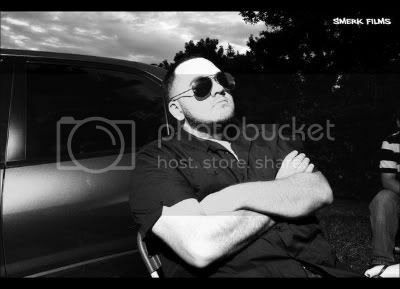 You can hit his myspace to hear the track. 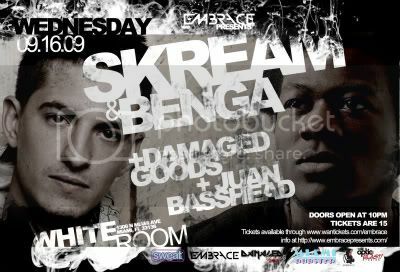 Skream + Benga bomb Miami Sept 16th! That's right, the big boys are coming to town thanks to Embrace Events. 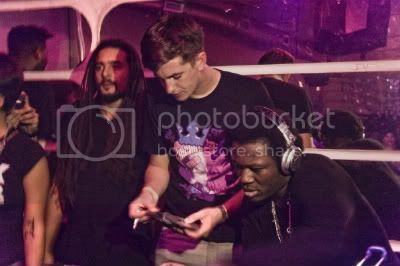 Skream and Benga have been at the forefront of dubstep since the beginning and their coming back to Miami for the first time since Winter Music Conference (WMC) on Wednesday September 16th at the White Room. They'll be supported by Juan Basshead and Damaged Goods in the same space where Kode9 and Martyn rocked it a few months back. Get your tickets here before they sell out! 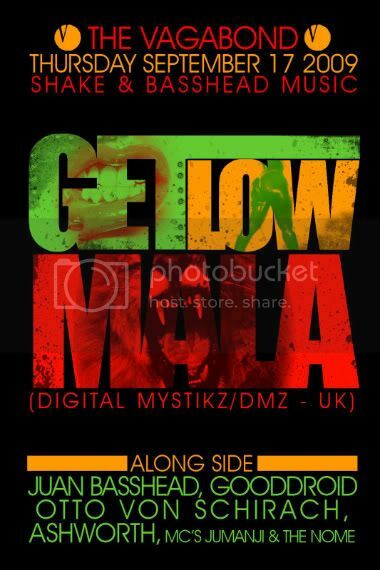 As an added bonus, another originator, Mala of the Digital Mystikz will be at Get Low the very next day! It's our very own Summer Dubstep Conference(SDC hah) and a real testament to how fast the movement is growing in Miami. 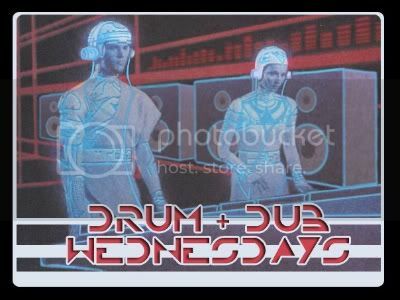 After the jump we got a video explaining the origins of the genre we Embrace, which also features Joe Nice who wrecked Get Low last week with his massive dubplates.